"Expulsions of the Sudanese will be resumed after verification each time that article three of the European Human Rights convention is respected, and returnees do not suffer inhuman or degrading treatment upon their return," the prime minister said. Michel explained that there were "serious doubts" about the allegations of torture of Sudanese migrants. The Office of the Commissioner General for Refugees and Stateless Persons (CGRA) submitted its report to the government earlier in the day, concluding that there was no proof of any torture. The report will be discussed in the Belgian parliament later in the day. 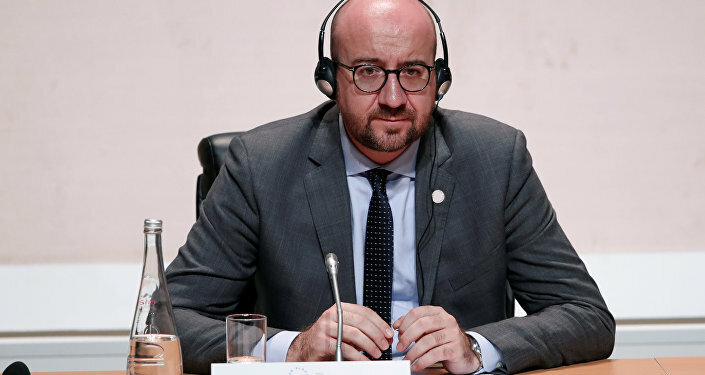 The deportations became a thorny issue for the Belgian coalition government headed by Michel, who belongs to the center-right Reformist Movement. Minister for Asylum and Migration Theo Francken, who is a member of right-wing NVA. gave the green light to the repatriation of several Sudanese citizens and enlisted the help of Sudan's officials to identify the nationals of their country residing in Belgium illegally. However, the Tahrir Institute for Middle East Policy said in December that some of the Sudanese who returned from Belgium had informed the think tank about being tortured upon their arrival to their home country. After the news broke out in Belgium, Francken called for a probe into the claims of torture and said that no migrants would be sent back if it was proven that they would face cruel treatment in Sudan.